Partly cloudy this morning with thunderstorms becoming likely this afternoon. High 74F. Winds S at 10 to 20 mph. Chance of rain 90%..
Special hours: We are closed October 31 to November 17 to reset the store for the Holiday Season. The slogan for The Produce Place – “We’re a lot more than our name implies” – perfectly captures the spirit of this wonderful hidden gem in the Finger Lakes region. Located on State Route 90 on the east side of Cayuga Lake in Union Springs. It combines four unique businesses a garden center, a gift shop, a deli and a bakery. 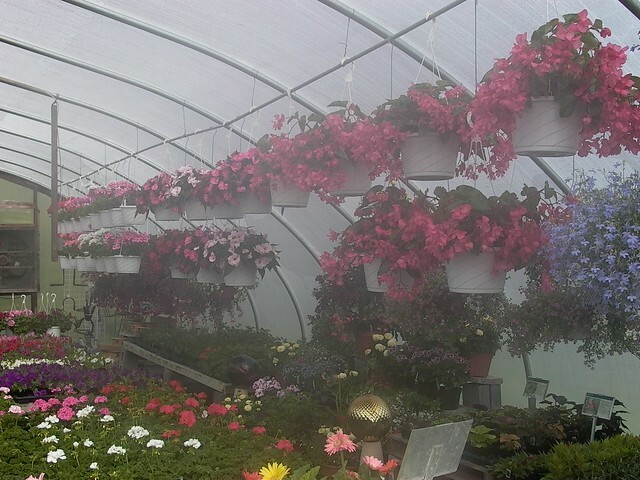 Mary and Tom Sawdey, both avid and experienced gardeners, purchased the business in 2006. Mary, born and raised in Auburn NY and Tom, born and raised in Batavia NY, decided to return to central New York from Greenfield, Massachusetts to pursue their dream of owning a business. This was not destined to be just any business. The Produce Place quickly began to reflect the skills and the passions of its owners. Mary is very well known for her pies and cakes and Tom for his cookies and fudge along with the other baked goods offered on a daily basis. Of course, these delicious treats are all made from scratch. From April through June, the “star” of the business is the Garden Center. 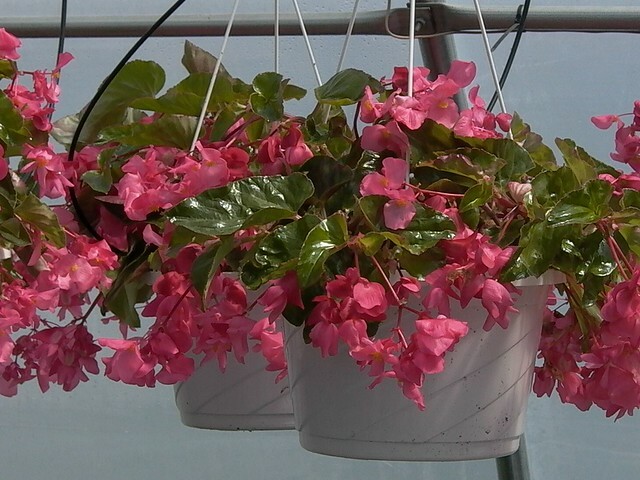 Most of what is sold – bedding plants, perennials, hanging baskets, herbs, vegetable plants, trees, shrubs, fruit trees and more - is started from seed on the premises in their four greenhouses. The Produce Place is one of a select few Garden Centers in the area that offers bulk seeds including seed potatoes, corn, beets, carrots, peas, radishes, garlic, onion sets, and shallots for area do-it-yourself gardeners. 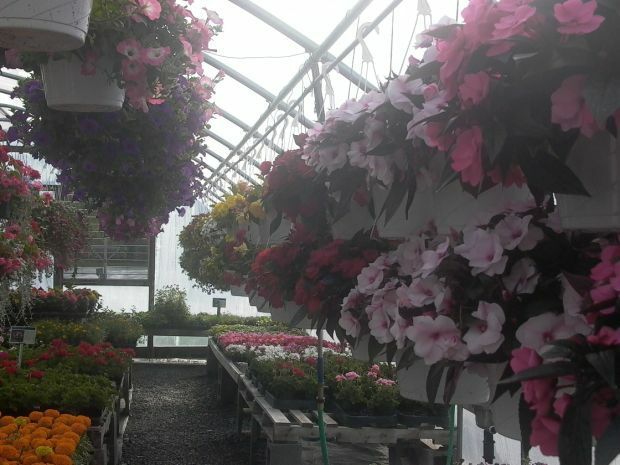 This wouldn’t be a true Garden Center without plenty of mulch, potting soil, composted manure, topsoil, bagged peat moss, play sand, stone, gravel, grass seed and plenty of expert advice! 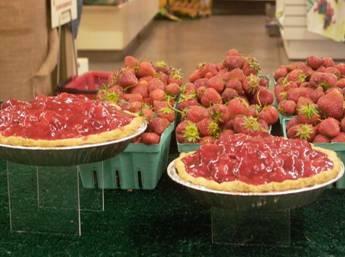 With the arrival of summer, the focus at The Produce Place turns to local produce including fruits and vegetables, the Gift Store, the Deli and, of course, their Bakery with its delicious variety of homemade fruit and cream pies, cakes, cookies and fudge. The Gift Store is perfect for tourists, boaters and local residents who will find a terrific variety of garden decorations and gift ideas, windsocks, flags for every season and most any reason, t-shirts and souvenirs. The Deli is also a favorite all summer long for that impromptu picnic, party or just a terrific lunch or, take the premium cold cuts and cheeses home and build your own! And you will love their homemade deli salads - made daily with Hellmann's mayonnaise. The Garden Center will still be well-stocked with trees, shrubs and perennials for fall planting and hardy fall mums that you can watch grow in the parking lot of the store. The focus during the fall and early winter months is all about Thanksgiving and Christmas. Visitors will find fresh-cut Christmas trees, wreaths made on the premises, centerpieces, swags, kissing balls, as well as cemetery items such as urns and flower arrangements. Mary and Tom are very proud of their Grandma’s Old-Fashioned Christmas Cookies. Besides being able to enjoy these treats every day, locals know that ordering these scrumptious homemade cookies and Mary’s pies well in advance of Thanksgiving and the holidays is a smart move because of their popularity. Also available during these months are quick breads, cakes, and at Christmas time Tom's creamy homemade fudge in a variety of delicious flavors. As you have read above,The Produce Place is so much more than its name implies. However, at the heart of this business is the desire to provide every customer with the good old-fashioned customer service and quality products that have become rare these days in the era of big box chain stores. Tom and Mary are always happy to assist their customers whatever their needs!